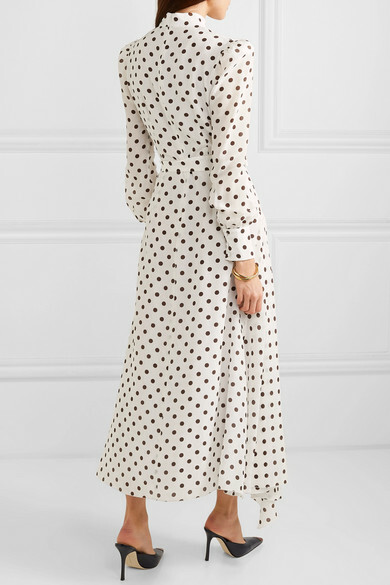 Alessandra Rich's Spring '19 lineup is inspired by '80s yacht club culture, so naturally there were plenty of retro patterns and ladylike silhouettes. 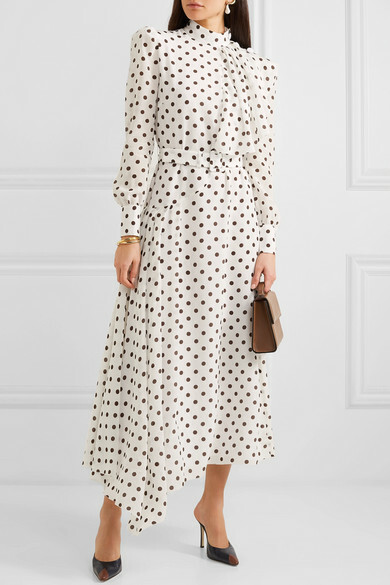 Cut from floaty silk crepe de chine, this polka-dot dress has a ruffled overlay that drapes elegantly from one shoulder, and a belt to accentuate your waist. 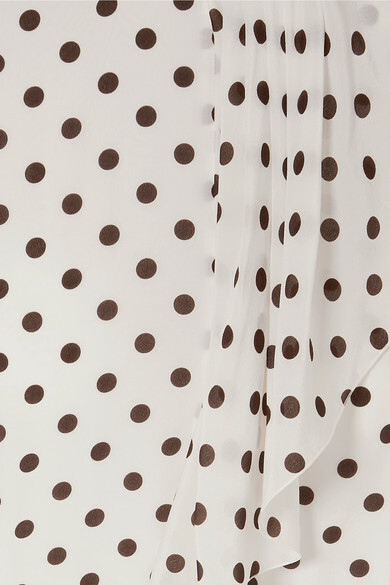 Match the brown spots to your accessories. Shown here with: Hunting Season Tote, Alessandra Rich Mules, Chloé Earrings, Sophie Buhai Bangle.